In order to support our export partners, we organized a three-day intensive technical training, finishing up just today. The training met with an extraordinary interest and 20 partners from Hong Kong, India, Finland, Romania, Malta, Vietnam, Serbia and Great Britain attended. The entire export team has prepared an interesting program. 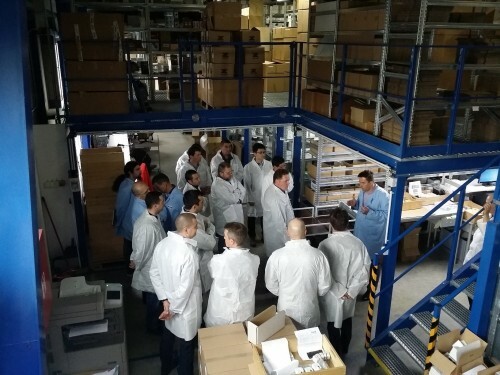 From the background of the company tour, familiarization with the products of the company ELKO EP, through training of iNELS Smart Home & Building Solutions. Participants had the opportunity to work with a demo – suitcases and try out the control of iNELS units in practice. They learned also configure applications iNELS Home Control. A contributive point of the training were also procedures and tips for configuring multimedia extensions system. The part of the training was also a test of skills and subsequent acquisition a certificate of eligibility installation iNELS. In overall, we consider the training as very beneficial for every party and we are looking forward to future cooperation. This article reprinted since News Page of ELKO EP.